Shalom. Our teaching this morning will be from Ezekiel 37.1-14, commonly known as “the valley of the dry bones”. 37.1 The hand of The LORD was upon me – meaning, The Spirit of GOD was upon Ezekiel. EZEKIEL 37.1 And carried me out in The Spirit of The LORD. The LORD gave the Prophet Ezekiel super-natural power to see visions, setting him down right in the middle of the valley which was full of dry bones. Perhaps millions of bones. Perhaps 100’s of millions of bones. The LORD gave John supernatural power to see visions in Heaven, and events that will take place in the future. Prophetic visions, just as He gave to Ezekiel. EZEKIEL in Hebrew is YEHKHEZKAYEL – meaning GOD will strengthen. Ezekiel was a priest and a prophet. EZEKIEL 37.1 VERY MANY RAHBOTE MEEODE an exceedingly great number of dry bones, in the millions. THE OPEN VALLEY – a valley between 2 mountains. Son of Man means son of a human being, or human being. But is an expression sometimes used for a prophet of GOD to whom The LORD speaks, and the prophet speaks GOD’s words to the people. Son of Man was also one of Messiah’s many titles. Showing that not only was He GOD Almighty, He was also a human being. LIVE KHY means, to live, live again. Brought back to life, quicken. 37.4 PROPHESY NAHVAH – prophesy, speak and predict, tell of a future event. 37.6 Sinews or tendons, tough cords or bands that unite a muscle with some other part of the body, such as a bone. FLESH – BAHSAHR – skin, the skin of a human body. Bring up flesh upon you means. GOD will do exactly that. And you shall live. You will live again. KNOW – YAHDAH – you will know by seeing, you will know for certain, and you will be sure that I am The LORD. 37.7 SHAKING – RAHAHSH – a loud, noisy commotion, almost like an earthquake, a rattling, a shaking with great commotion because GOD was restoring the bodies of millions of dead people back to what they were. And the bones came together, bone to matching bone, and attached to each other as they used to be. 37.8 GOD made the bodies perfect. GOD restored them all, but there was no breath in them, there was no life in them. 37.9 WIND – ROOAKH – the wind is the Spirit of GOD, and the wind is the breath of GOD which GIVES LIFE, as He will give life to these millions of bodies that have no life. Come from the 4 winds, o breath, and breath upon these slain that they may live. COME – BOE Come and cause to enter into. GOD is saying, wind, cause life to enter into these slain that they may live. I’m not saying you can put a dead body in the wind and it will live. But if GOD wants the wind, which is His Spirit, to give life, it will give life. GOD said to Ezekiel, “Prophesy son of man, and say to the wind, thus saith The LORD GOD, come from the 4 winds O breath, or life, and breathe upon these slain that they may live”. And millions of these dead bodies that were slain and put to death will live again at some time in the future. The wind we experience every day normal everyday winds and breezes and also thunderstorms, and windstorms, and hurricanes, and tornadoes are the power of GOD, His Spirit, His wind and breath. Whether the wind is calm or fierce, it is The Spirit of GOD, and certainly not mother nature, a term that means, nature personified as a woman considered as the source and guiding force of creation. The wind we experience every day is The Spirit of GOD. The wind is GOD, His Spirit. While we are speaking of The Spirit of GOD, we should also speak very briefly about the HOLY SPIRIT. The Spirit of GOD, and The Holy Spirit are both GOD. The Spirit of GOD is GOD, and The Holy Spirit is GOD. The Spirit of GOD gives life to all living things. And it is a gift of GOD. The Holy Spirit of GOD is a special and unique gift from GOD that gives eternal life, and so much more to all WHO BELIEVE IN YESHUA THE MESSIAH, AND OBEY GOD, His every Word, His Law and His Commandments. EZEKIEL 37.9 Humanity depends on GOD for life itself. Just as GOD created the first human being, and all that have life within them, He will also give life to these millions of bodies. He will restore them back to the humans they originally were in the same way He created the first human being, Adam. GOD said, “Let us make man in Our image”. First creating the body of the man by His Word, and then He breathed life into him, making him a living person. FORMED – YAHSTAHR – squeezed us into shape, even molded us into our form as a potter molds a piece of pottery. GOD determines our shape, even our purpose on earth. THE DUST OF THE GROUND – the dry earth. And breathed into his nostrils the breath of life. BREATHED – NAHFAHKH – GOD breathed into his nostrils. BREATH – NEESHAHMAH – GOD’s breath gave the man life, and wisdom, a spirit and a soul, and a mind, and a brain, and man became a living soul. GENESIS 1.2 The Spirit of GOD. Spirit is ROOAKH. GOD’s Spirit is GOD Himself, and GOD’s Spirit is life. So we can simply say, GOD Himself, His Spirit moved upon the face of the waters, and He started creating the Heaven and the earth and all in them. PSALM 33.6 GOD spoke the Heavens into existence by His Word, and by the breath, or Spirit of His Mouth, all the host of them were made. That is the sun, the moon, the stars, the angels, everything. First GOD forms something or someone with His Word. Then He gives it life by His Spirit. The same as He did to you and me, and everyone else. EZEKIEL 37.9-10 VERSE 10 GOD’s breath came into them. Again, BREATH is ROOAKH. GOD’s Spirit, His life came into them, into all the bodies, and they lived, they came to life again. VERSE 10 And stood up upon their feet. STOOD UP – AHMAHD – to stand. The dead bodies are now alive, standing on their feet, having the Spirit of GOD breathed into them. An exceeding great army, a huge multitude. Perhaps GOD calls this vast multitude an army because one day this exceeding great army will come with their Messiah, His army, to set up The Millennial reign of Messiah Yeshua in Israel. EZEKIEL 37.11 These bones are the whole House of Israel. whole House of Israel means the Jewish People. Non-Jewish people in Messiah will join in with them in the Resurrection with those who are alive in Messiah at Yeshua’s return. But the whole House of Israel means the Jewish People, 100’s of millions of Jewish People from the days of Abraham until now and in the future. But not every Jewish person. Not all Jewish People, but many, many Jewish People, 100’s of millions will be resurrected, and GOD will save them all, and bring them into the Land of Israel. And then will all Israel be saved. Israel and the Jewish People come from Jacob whom GOD named Israel, and from his 12 sons, the 12 tribes of Israel. And GOD will bring them all back to the land of Israel at Messiah’s return at the end of days. captivity – Shehvoot – THOSE EXILED, THE PRISONERS AND CAPTIVES. EZEKIEL 37.12-13 GOD will resurrect the whole House of Israel and bring them back to Eretz Y’Israel, The Land of Israel at the start of the Messianic Era, the 1,000 year millennium. EZEKIEL 37.14 And GOD will pour His Holy Spirit on the whole House of Israel. His resurrection was on Sunday, the day after the Sabbath. FRIDAY & SATURDAY- He was in the grave – TOTAL OF 3 DAYS AND 3 NIGHTS IN THE GRAVE..
Sunday He rose, sometime after sundown on Saturday. Sundown is the start of a new day in the Word of God. Genesis 1.5, 8, etc. The prophecy of the dry bones teaches us that GOD will resurrect the whole House of Israel, a huge number of Jewish People from all our generations, but not every individual Jewish person, and bring them back to the land of Israel at the start of The Millennium with Messiah Yeshua. Even many Jewish People who will be alive at Messiah’s return, GOD also will bring back to the land of Israel, and save them all. Even many that were not saved. And then shall all Israel be saved. And this resurrection of the whole house of Israel will take place at the same time the Resurrection of the non-Jewish Believers in Messiah takes place, and with all those who are alive in Messiah, will GOD bring up with Him to enter into The Millennial reign of Messiah Yeshua in Jerusalem and in all Israel. But why leave it to chance? The Bible tells us how we, Jewish and non-Jewish people can be sure and certain we will spend eternity in Heaven with our GOD and Messiah. By believing in Yeshua The Messiah, and living by every Word of GOD. Shalom and good morning. Our message today will be from Genesis 31, and the title of our teaching is, “In times of sore distress, men fear defeat, but GOD plans victory”. Genesis Chapter 31 describes Jacob’s struggle to break away from his Uncle Laban after 20 years of a very difficult relationship. The LORD had said to Jacob, return to the land of your fathers and to your family, AND I WILL BE WITH YOU. So, Jacob put his 12 children and his wives on camels and set out with his livestock and goods for his return to the land of Canaan to his father Isaac. 3 days later, Laban is told that Jacob has left, so Laban and his sons chased after Jacob on horseback or camels, and after 7 days, they caught up with him in Gilead, a mountainous region near the border of today’s Syria and Jordan. However on the way, GOD appeared to Laban in a dream by night, and said to him, “Beware that you do not speak to Jacob either good or bad”. When Laban and his sons approached Jacob, the accusations started to fly from both sides. A covenant of peace is eventually made between the 2, and Laban rose up early the next morning and kissed his Grandchildren and his Daughters, and blessed them and returned home. And Jacob went on his way, and The Bible says, the angels of GOD met him. He then prepared for his encounter with his brother Esau by sending messengers to him in Edom in the land of Seir where he lived. And his messengers returned saying, we came to your brother Esau, and also he is coming to meet you, and 400 men are with him. But before his meeting with Esau, Jacob had a unique encounter with GOD. Jacob is truly a partiarch, one of the founding fathers of the Jewish People, a man chosen by GOD, and elected by GOD. For it is The LORD GOD Who has made the earth by His power, He has established the world by His wisdom, and has stretched out the Heaven by His understanding. So with that said, I’ll read about these events in Genesis 31, starting with Verse 3. GENESIS 31.55 A little different from their first meeting when Jacob arrived from Canaan. GENESIS 32.1-2 The first time The LORD GOD and His angels appeared to Jacob, was to prepare him for the difficulties he would experience with his Uncle Laban. The second time the angels of GOD ministered to Jacob was to encourage him for his imminent encounter with his brother Esau who after 20 years still wanted to kill him. MAHANAIM double camp, or 2 camps or 2 groups. Perhaps Jacob anticipated that he would have to divide his family into 2 groups before meeting Esau. Also Israel kept the name of Mahkhnahyeem for a city in Israel when the children of Israel conquered Canaan. Mahkhanahyeem was in the tribe of Manasseh, east of the Jordan River near the Jabbok River, all in today’s Jordan. GENESIS 32.3 Jacob and his family and flocks are heading south from Padanaram in Syria to the land of Canaan, and approaching Edom where his brother Esau lives. Jacob is probably at the Jabbok River between the Galilee and the Dead Sea, about 80 or 90 miles from Esau’s land, the land of Seir, the country of Edom. And he must pass through Edom, Esau’s country before travelling up to Beersheeba where his father Isaac lives in southern Canaan. So Jacob sent messengers before him to his brother Esau. 32.4 MY LORD LAH DOENEE – lord and master, (of Edom) an address of honor to those who are more noble, and to whom respect is due, even to a brother. Jacob referred to Esau as “my lord”, AHDOENEE. Jacob is asking Esau, please, let’s have peace. 32.6 400 men, an army, no doubt to complete what he threatened to do 20 years ago, killl his brother Jacob. Jacob may have wives and 12 children, and servants and flocks, but he certainly does not have an army to defend himself against Esau. But he does have GOD’s promise, I WILL BE WITH YOU. Let me say this. In times of extreme distress and fear, many of us think the worst, of being destroyed or beaten, even wiped out or ruined. But what does GOD say in ISAIAH 55.8-9? “For My thoughts are not your thoughts, neither are your ways My ways, saith The LORD. For as the Heavens are higher than the earth, so are My ways higher than your ways, and My thoughts than your thoughts. Simply said, our thoughts may be thoughts of defeat and ruin, and despair, but GOD’s thoughts are VICTORY, just as He was preparing victory for Jacob when Jacob was fearing disaster and even death from Esau. WHOSE ARE THESE BEFORE YOU? whose animals are these? 32.22-23 Jacob and his family and all the livestock are still at the Jabbok River, and they crossed at a crossing place of the river. 32.24 And Jacob was left alone. Because this is what GOD wanted. WRESTLED – AHVAHK – means both wrestle and dust, because when the 2 wrestled, dust was raised from the sand, it flew all over the place. They wrestled til the breaking of day, or day break, the first appearance of light in the morning. I’m guessing they wrestled from around 8 p.m. to 6 a.m., about 10 hours wrestling in the desert. The Man Jacob wrestled with was GOD. How can the Man be GOD? Because GOD Whose pure nature is Spirit, can also appear as a Man. Genesis 1.26 reads, “Let us make man in our image, after our likeness”, That is in human form, and the Man Jacob wrestled with was, yes, GOD, he wrestled with Yeshua. Let’s see some Scriptures. PREVAILED Not able to overcome Jacob, that is not win the wrestling match. low or socket of Jacob’s thigh, and it was out of joint. 32.26 And He, GOD said, Let Me go for the day breaks, it’s morning. Why did GOD bring the wrestling match to a close at day break, the morning? Not because He was tired, He’s GOD. But because Jacob had work to do. Esau and his 400 armed men were not far off in the distance. And if Jacob can wrestle successfully with GOD, He can have the courage to face all the problems of life, even Esau and because GOD said to him, “I WILL BE WITH YOU”. GENESIS 32.26 And Jacob said, I will not let you go unless you bless me. Jacob knows He’s GOD. 32.27 And He, GOD said to him, Jacob, What is your name? And he said Jacob. 32.28 And He, GOD said, your name shall be called no more Jacob, but Israel: for as a prince you have power with GOD and with men and have prevailed. That is, you are able, you have overcome, you have won. I believe GOD prepared Jacob for his encounter with Esau, and the numerous battles and wars Israel and the Jewish People will have with the nations over the ages. And in the end, Israel will prevail as Jacob prevailed. They will gain the absolute victory. For GOD is The GOD of Abraham, Isaac and Jacob, The Holy One of Israel, The Mighty GOD of Jacob. And GOD’s eternal blessing to Israel is this. I AM WITH YOU. And that is the reason the Apostle Paul, a Jewish man of GOD, a solid Believer in The Jewish Messiah teaches the necessity of the nations, the non-Jewish Believers in Yeshua Ha Mashiakh, to join in together with Israel, and live by every word of GOD, and you will receive all the covenants and promises GOD gave to the Jewish People. To them, he says in Romans 9, belong all GOD’s Covenants and promises. Read also Romans 11 and Ephesians 2. GOD said to Jacob, your name shall be called Israel. This is the first time the name Israel is spoken of in The Bible, and then it is written some 2,577 times in both the T’Nakh and New Testament, The Hebrew Scriptures. SARAH means to prevail, have power as a prince. PRINCE – SAHR – a leader, ruler, king, a male member of a royal family, the son of a king. GENESIS 32.29 Jacob asked GOD, as Moses also asked GOD, Pray tell me your name. And GOD said, (and this is after some 10 hours of wrestling) “Why do you ask Me this about My Name?” And GOD blessed Jacob there. GOD has many names; I AM, I AM that I AM, LORD of Hosts, Yehovah, LORD, Wonderful, Counsellor, Mighty GOD, everlasting Father, Prince of Peace, GOD Almighty, El Shaddai, Yah, Holy, GOD with us, Yeshua Ha Mashiakh, The LORD Yeshua Ha Mashiakh, and more. And GOD blessed Jacob there. Perhaps the blessing went something like this: I will be with you, for as a prince you have power with GOD and with men and have prevailed. Your descendants shall be as the dust of the earth, and you shall spread out to the west and to the east, and to the north and to the south, and in you and in your descendants shall all the families of the earth be blessed, and I AM with you and will keep you wherever you go, for I will not leave you in order for you to do that which I promised you. and GOD will preserve Jacob’s life with Esau, and forever, as He will you and me. GENESIS 33.1 And here comes the encounter with Esau, and we’ll see what happens in our next study about Jacob and Esau, but remember, GOD said to Jacob, I WILL BE WITH YOU. It happens in times of sore distress, and fear, and anxiety, many of us think the worst. We’re done, I’ll be ruined, wiped out, even destroyed. But those are not GOD’s thoughts, let alone His plan for you. Because The LORD says in Isaiah 55.8-9, “For My thoughts are not your thoughts, neither are your ways My ways, saith The LORD. For as the Heavens are higher than the earth, so are My ways higher than your ways, and My thoughts than your thoughts. Put simply, our thoughts may be despair and defeat, but GOD’s thoughts are VICTORY for those who love GOD, who believe in His Messiah Yeshua, and who live their life according to every word of GOD. Because GOD IS WITH YOU ALWAYS, AND FOREVER. Believe it. Shalom and Good Morning. Our teaching this morning is about an unscrupulous employer, and The LORD our GOD Who is always with us. GENESIS 30.25-26 Jacob has worked for his uncle Laban 20 years, and now he wants to go home and return to his family in Canaan, today’s Israel, with his wives and 12 children. The reason Jacob was in Syria working for his uncle Laban was because Jacob’s twin brother Esau wanted to kill him. Esau wanted to kill Jacob because he felt he was tricked by his brother Jacob because Jacob received a blessing from their father Isaac that Esau thought belonged to him. However the blessing that Jacob is said to have stolen from Esau was not stolen at all because the blessing was always intended for Jacob, and not Esau. Esau believed because he was the elder of the 2 twins, he should receive his father’s blessing. Well, that was not GOD’s plan. So, let’s review this adventure for a moment. When The LORD speaks, it is His Word, and His Word is His PROMISE. And His Word is also law. When any word proceeds from the mouth of The LORD; it will be done, and it will accomplish that which He pleases. So here is GOD’s Promise that is Law, and will be accomplished and done. 2 NATIONS are in your womb, Rebekah. – the 2 nations that came from Esau and Jacob are Edom and Israel. GENESIS 25.23 2 MANNER OF PEOPLE shall be separated from your womb. – The Edomites were from Esau. The country of Edom was in today’s Jordan, south of the Dead Sea, and southeast of Israel. THE 1 PEOPLE SHALL BE STONGER than the other people. STRONGER – AHMAHTS – stronger, ESTABLISHED. ESTABLISHED – Webster’s – to institute as a law permanently. 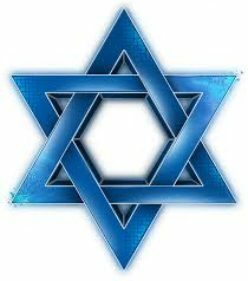 Thus Israel and Judaism are stronger than Edom and the Edomites because it is GOD’s Law that Israel and the Jewish People are to be permanent and established and stronger forever. But Edom and the Edomites are extinct. They have vanished from off the face of the earth. OBADIAH 21 – The victorious, The Jewish People, will march up Mt. Zion to judge the Mount of Esau. And the Kingdom shall be The LORD’s. GENESIS 25.23 AND THE ELDER shall serve the younger. GOD’S plan for Jacob, even for Esau, and for everybody, is GOD’s sovereign choice. GOD never changes. GOD’S promise was always intended for Jacob and not Esau. And as Paul writes in Romans 11.29 “The gifts and calling of GOD are irrevocable”. They never change, they are final, and they are Law. And now let’s look at Isaac blessing Jacob in which Esau got so crazy. Simply, the blessing is indeed for Jacob and not Esau. Isaac is saying, be blessed from GOD, from Heaven and from earth. Let people serve you, and nations bow down to you. Be lord and master over your brethren, and cursed is everyone that curses you, (as Esau was cursed) and blessed is everyone that blesses you. Well today, I don’t think anybody serves Israel let alone bow down to her. But that will happen when The LORD returns and establishes His Messianic Kingdom in Israel. Nations will then serve Israel, and bow down to her people. STANDARD – NAYCE – Something like a flag or banner that is lifted high and seen from afar proclaiming Yeshua The Messiah and His Kingdom of GOD. And those who bless Israel and the Jewish People, GOD will bless. And those who curse Israel and the Jewish People, as Esau and the Edomites cursed Jacob and the children of Israel, GOD will curse. That is part of the Abrahamic Covenant passed on to Isaac and Jacob and the Jewish People. GENESIS 27.29 I believe the fulfillment of much of Isaac’s blessing will take place in The Millennium. For example, “Be lord over your brethren, and let your mother’s sons bow down to you”. My thought here is that Isaac is speaking of Messiah at His return. Yeshua will certainly be LORD and Master over the Jewish People, and all peoples, because He is GOD and Messiah. And Messiah Yeshua is a descendant of Jacob in the flesh as a human being. ISAIAH 45.22-23 Swear loyalty to GOD and Messiah. So, that’s what the fight was all about. Actually, it was a 1 sided fight. Esau wanted to kill Jacob, but Jacob preferred peace. His mother certainly doesn’t want her son killed, so she said to Jacob, go to your uncle Laban, her brother in Syria, and stay there for a few days, and when Esau’s anger quiets down, I’ll send for you and bring you back. So, now after 20 years working for Laban, Jacob wants to go home and return to Canaan with his family, his wives and 12 children. But Laban doesn’t want him to leave because Laban has had great success with Jacob working for him. GENESIS 30.25-30 VERSE 30 When shall I provide for my family? VERSES 31-32 My wages will be all the speckled and spotted cattle, sheep and goats from the flock. VERSE 33 Every animal from the flock that isn’t speckled and spotted found with my animals, know that I have stolen them from you. That is, I will not take anything we did not agree to. VERSE 34 Laban said, okay, just as you said. VERSE 35 But Laban stole Jacob’s animals. He gave them to his sons. Another trick, another lie by Laban. tcome, I believe, was of GOD. VERSES 36-43. Some might say that what Jacob did was from folklore, a tale, that what animals see while mating determines the appearance of their young. But this we know that GOD blessed Jacob mightily and he became very prosperous with large flocks, and servants, and camels, and donkeys. All because GOD was with him. So now, Jacob is preparing to return home after 20 years working for his uncle Laban. He left Canaan with nothing, probably the clothes on his back, and the camel or horse he rode on. Just to get away from a brother who wanted to kill him. Now he’s returning home with his family, his 2 wives and 12 children, a number of servants and a huge flock of animals. And you might think to yourself, that’s a pretty good deal for 20 years of work, even with a bad employer. And you would be right. But I believe the greatest blessing Jacob received from The LORD GOD, in fact the greatest blessing anyone can receive, is GOD’s promise that He said to Jacob, “I WILL BE WITH YOU”. VERSE 1 Not true. Laban cheated Jacob from day 1. He changed Jacob’s wages 10 times, always cutting his salary. He was promised Rachel for his wife, but Laban gave him her sister Leah. And he was told to work another 7 years for Rachel, which he did. And on top of that, Laban stole Jacob’s possessions, his animals. Laban was a goniff, a crook and a thief. Jacob was an honest man of GOD. VERSES 2-3 VERSE 3 “I WILL BE WITH YOU”. GOD pronounced His Name, I AM, upon Jacob, a promise to watch over him, and protect him wherever he goes, and to be with him forever. Yeshua says the same words to us, and Yeshua is GOD. It’s GOD’s promise to you. ALWAYS, forever, for eternity, world without end. Yeshua is I AM, GOD. Here’s what it means for GOD to be with you. Fear not, for I AM with you. Be not afraid, for I AM your GOD. I will strengthen you, I will help you, I will uphold you with the right hand of My Righteousness. And again, The LORD your GOD is with you, I will not fail you nor forsake you, and again, The LORD of Hosts, is with us, The GOD of Jacob is our protection. A virgin shall conceive and bear a Son, and shall call His Name Immanuel, GOD with us. His name is also Yeshua. If GOD is for us, who can be against us. Greater is He that is in you than he that is in the world. And His Name shall be called Wonderful, Counsellor, The Mighty GOD, The Everlasting Father, The Prince of Peace. Thus, there is no greater gift or blessing that anyone can have than GOD’s Promise of “I will be with you”. or “I AM with you”. And how do we obtain that great promise? By believing in Yeshua The Messiah, and living our life according to Torah, the Law GOD gave Moses for all the world. Shalom and good morning. Our teaching this morning will touch upon Dinah, Jacob’s only daughter, and his son Joseph, and Joseph’s 2 sons Manasseh and Ephraim. And we will also learn some interesting knowledge about The Millennium. And what we should do and not do on the Sabbath Day. So with that said, our reading is from Genesis 30.21-24 and we will start with Verse 20. Dinah was the daughter of Leah and Jacob, the only daughter Jacob had of 13 children. Not a whole lot is known about Dinah. She was obviously a very beautiful woman because a fellow by the name of Shechem, a prince in his country, fell in love with her and wanted to marry her, but it never took place but ended in tragedy for the prince and the males of his city. All of which is recorded in Genesis 34. Joseph was Rachel’s first child and son and Jacob’s 11th son overall. Rachel would give birth to Benjamin at a later time who would be Jacob’s 12th son completing the 12 tribes of Israel. And Joseph was Jacob’s favorite because he was the son of his old age. It was Joseph whom The LORD used to bring the children of Israel into Egypt from the land of Canaan. At the time, there were only 70 of Israel. They grew into a great nation in Egypt and served the Egyptians 400 years. And after the 400 years of Egyptian slavery, GOD by the hand of Moses, brought Israel out in the Exodus to conquer and possess Canaan, which GOD renamed Israel, Eretz Y’Israel, The Land of Israel. Joseph in Rabbinic tradition was known as Joseph the righteous. Joseph was sold into Egypt and because of the blessings of GOD upon him, he was appointed vizier by Pharaoh, a high executive officer in Egypt. He married the daughter of an Egyptian priest and had 2 sons. And Joseph called the name of his first son Manasseh, meaning, “GOD has made me forget completely my hardship and my parental home”. And the 2nd he named Ephraim, meaning, “GOD has made me fruitful in the land of my affliction”. And since we have been teaching on the land the 12 tribes of Israel inherited in their new country Israel, Joseph’s 2 sons also became part of the 12 tribes. Jacob adopted both of Joseph’s sons, putting them on the same level as his own sons, and Joseph was alloted 2 territories in Israel; one for each of them. PORTION – SHEHKHEM – many meanings, but here possibly meaning a tract of land. One portion more than your brothers could mean Joseph’s 2 sons would each inherit a parcel of land whereas Jacob’s other sons received just 1 plot. And the city of Shehkhem in Canaan became part of the land inherited by Manasseh. So Joshua, when the children of Israel came into Canaan and possessed it, gave the tribes of Manasseh and Ephraim each a parcel of land for their portion and for their inheritance. The inheritance of land given to the tribe of Manasseh was huge. Only the land inherited by Judah was larger. The land Manasseh received lies on both sides of the Jordan River and would include today a substantial portion of Jordan. That is the country. And the inheritance of Manasseh extended all the way to the Mediterranean Sea, and touched the edge of the Sea of Galilee. Bashan was in Manasseh, and Bashan today would be in Syria, perhaps part of the Golan Heights. And Ramoth Gilead was part of Manasseh and would be in either Jordan or Syria today. Caesarea on the Mediterranean coast, and the West Bank further inland by Jordan is today occupied by 2 1/2 million Palestinian Arabs, they are in the inheritance of Manasseh. Ephraim had a much smaller inheritance of land bordering Manasseh to the south and included the city of Shiloh which housed the tent of meeting or the Tabernacle of the Congregation. When Solomon built the 1st Temple in Jerusalem, the tent of meeting in Shiloh was no longer used. And Beth-El was in Ephraim where Jacob had a dream years earlier. A ladder set up on the earth, and the top of it reached to Heaven, and the angels of GOD ascending and descending on it. And The LORD stood above it and said, “I am The LORD GOD of Abraham your father, and The GOD of Isaac. The land on which you are lying, to you will I give it and to your descendants. And your offspring shall be as the dust of the earth, and you shall spread out to the west and to the east and to the north and to the south. And in you and in your descendants shall all the families of the earth be blessed. And remember, I am with you and will keep you in all places wherever you go, and will bring you again into this land, for I will not leave you until I have done that which I have promised you.” And Jacob woke up from his sleep and said, “Surely The LORD is in this place and I did not know it.” (Genesis 28). The 12 tribes of Israel descend from the 12 sons of Jacob, and none from his daughter Dinah. And my personal belief is because the men do the begetting. Meaning it is the male parent that gives birth and life to the child. For example, the genealogy of Yeshua The Messiah recorded in Matthew 1, goes like this. Abraham begat Isaac, and Isaac begat Jacob, and Jacob begat Judah and his brethren; and finally, GOD The Father sent Yeshua into the world. And Joseph was the husband of Miriam, of whom was born Yeshua, Who is called Messiah. And to continue, there are at least 2 Hebrew words for tribe. Shayveht and Mahteh – both meaning a branch of people, and the branches of people are all begotten by the 12 sons of Jacob. That’s why I believe Dinah was not one of the tribes of Israel. Okay, Paul teaches that only those people who descend from the 12 tribes of Israel are Israel. We are not addressing those who convert to Judaism at this point. ACCORDING TO THE FLESH – my own flesh, the Jewish People. 9.4 ADOPTION – the Jewish people are adopted by GOD to be His elect, His Chosen People. THE COVENANTS – all the covenants, including the New Covenant, that is the New Testament, GOD gave to the Jewish People, and with conditions, include non-Jewish people. Those conditions, believe on the Jewish Messiah Yeshua, and keep the laws and commandments given by GOD to the Jewish People, Acts 5.32, Romans 3.31, etc. THE GIVING OF THE LAW – The Torah, The Law GOD gave to Moses. How people of all nations and languages should live their lives, by GOD’s Law of Moses. GOD – performed by the Levites and the Levitical Priesthood. THE PROMISES – every promise of GOD, including forgiveness of sins, eternal life, blessings, reconciliation with GOD, Messiah and so much more are given by GOD to the Jewish People. 9.5 The fathers, Abraham, Isaac and Jacob. OF WHOM – and from them came Messiah in the flesh, a human being and Jewish. 9.6 NO EFFECT – has not succeeded. The Word of GOD has succeeded. For they are not all Israel which are from Israel. Paul explains in verse 7. 9.7 Why are they not all Israel which are from Israel? Because, only the descendants of Isaac are Jewish and of Israel. That is from Isaac who begat Jacob and the 12 tribes of Israel, are Israel. “In Isaac shall your seed be called”. Meaning, the Jewish People, Israel descend ONLY from Isaac, not Ishmael or Abraham’s other sons after Sarah died. Or anyone else for that matter. Thus, Abraham, Isaac and Jacob, and the people who descend from the 12 tribes of Jacob throughout the thousands of years of Jewish history, even to today, and in the future, are Israel, and are Jewish. Unless others have converted to Judaism, and that’s another subject and not for today. And by the way, our mission is not to convert people to Judaism, but to teach the love of GOD and His Messiah Yeshua, and the teachings of all GOD’s ways. So, let’s talk briefly about the 1,000 year Millennium as we said at the outset. INHERITANCE – NAHKHAHLAH – an inheritance is received from an ancestor. The ancestor here is GOD. That inheritance of the whole land of Israel is a possession and an heirloom forever from GOD. 2. Something of special value handed on from one generation to another. And since Judaism and her descendants the Jewish People will remain forever, the allocation of the land inherited by the 12 tribes of Israel remain forever, and remain the same forever. The entire land of Israel which GOD promised to the Children of Israel, to the Euphrates River, and all the land of Canaan to the Mediterranean Sea, to some unknown river in Egypt, perhaps the Nile, the allocation of the land of Israel will remain with the 12 tribes of Israel forever. Thus, when The LORD returns and establishes His Kingdom in Israel known as The Millennial reign of The Messiah, the divisions of the land to the 12 tribes of Israel will remain the same. Thus in The Millenium, the entire Land of Israel which will be GOD’s Kingdom on earth, will be divided among the 12 tribes of Israel as it was in the days of Joshua when the children of Israel entered the Promised Land. AND THE NON-JEWISH BELIEVERS WILL ALSO LIVE IN THE LANDS INHERITED BY THE 12 TRIBES OF ISRAEL IN THE 1,000 YEAR MILLENNIUM. After the great war of Ezekiel 38 and 39, Messiah will return and set up His Kingdom in Israel. And The LORD GOD speaks of the division of the land to the 12 tribes of Israel in The Kingdom. How will non-Jewish Believers know what tribe is their inheritance? I don’t really know. Perhaps you will make your own choice or Messiah will direct you to your inheritance. But this I do know, you will certainly be part of Israel joining in with us in GOD’s adoption, the glory, the covenants, and the giving of the law, the service of GOD, and the promises, and the fathers Abraham, Isaac and Jacob and The Messiah Who will not be in the flesh, but in His natural essence, The Mighty GOD of Jacob. Let’s spend a little time on The Sabbath Day. What we should do and not do on that day. The Bible teaches that The Sabbath is a rest, and holy, a pleasure and a delight. GOD established The Sabbath on the 7th day, Saturday even before He created Judaism. It is for all mankind, all nations and all the world. The Sabbath and all GOD’s days start at sundown and end 24 hours later at sundown the following day. GENESIS 1.13, 19, 23, etc. The 7th day Sabbath on Saturday is in force today and will remain the same forever. We are to keep The Sabbath Holy and not work on that day. No employment, i.e. work or labor, no business of any kind, i.e. paying bills, shopping, buying, selling, no farming, i.e. no garden work, no housework, cooking, baking. MATTHEW 2.28 As LORD GOD, Yeshua teaches us the things we can or cannot do on The Sabbath. Sometimes by example. It is always according to Scripture. – Don’t work on The Sabbath, try to rest. – It has been said it’s possible acts like playing ball and swimming, etc. are okay because hopefully it brings joy to The Sabbath. – I watch tv on The Sabbath, usually a ball game. Jan turns on the computer. – It’s a day of rest. It’s NOT a day of fasting, it’s a day of joy.